Composting is EZ with Elisa Zazzera! attend one, or all! They are FREE but please register here. Thursday, July 30, 6:30 – 7:30 PM (this evening will focus on composting for apartment dwellers--including starting a community compost site. Hear about success stories about composting in apartment buildings and complexes! The Kitchen Garden @ South Church, near the compost bins! The Kitchen Garden is behind South Church, at 343 Broadway, Dobbs Ferry, 10522. Instead of sending your food and yard scraps to the, incinerator compost them to create ‘black gold’ for your garden, yard and houseplants. 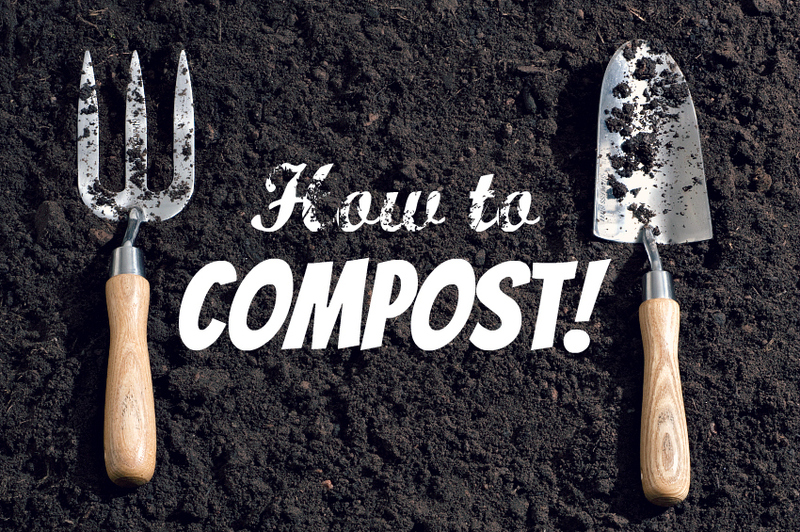 Discover the benefits & joy of “closing the loop” with your own household food scraps in this hands-on demonstration of how easy it is to compost. 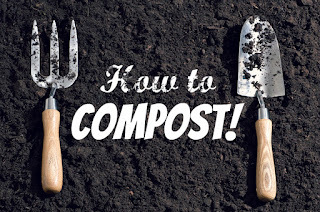 In this hour we'll cover what is compostable on your property and the variety of ways to compost as well as the many benefits of composting -how it can save money & help tread lighter on the planet. It's not just for land owners—apartment dwellers can do this too (vermicomposting, machines, and starting a community compost on apartment complex property. Elisa Zazzera is involved in Sustainability projects and Environmental Activism in the Hudson River Villages as well as India and Nepal. Elisa participates in and manages the Hastings/Stoneledge Farm CSA group. As a member of HoH Conservation Commission she heads the subcommittee on materials management/sanitation. Register here for one, two or three of these free composting workshops. What plants and trees should we be putting along our streets and in our yards? How can we ensure access to fresh, affordable local food? These were some of the questions posed to Dobbs Ferry during the May 3 "Community Conversation" about Gardens, Trees and Local Food, hosted by Sustainable Dobbs. We wanted to share the feedback with you particularly because we're using it to shape and inform Roots & Wings vision for serving the community. 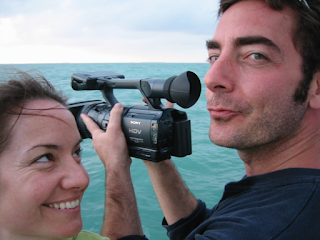 Want to get involved? Let us know! How is DF tree commission working? Can improvements be made? High Street Park- what is the right amount of clearance? What is the carbon impact of removing mature trees? Are there types of shrubs, trees that are better at absorbing carbon? Is there interest in creating community gardens? Is there space? Next to Aqueduct trail trailer? at the Juhring Estate? At Memorial Park? the new High Street Park? at the schools but for the broader community? Get seniors involved, too. Roots & Wings emerged out of the Dobbs Ferry Task Force on Energy and the Environment, (which subsequently became Sustainable Dobbs). Back in 2010, the Dobbs Ferry Energy Task Force hosted a gathering in which the need for a group to lead the way--to show how to compost, collect water, garden emerged. Roots & Wings was formed, in part, to be that group. Read more here. We're glad they're working for our community. back in 2013--it may be time to do this again! Do you know someone who keeps chickens? From Texas to Virginia to London there are reports that backyard chickens are trendy. Right here in our rivertowns, I know four, maybe five, yards with chickens. Why would you want to have chickens? Well, once you build your coop, and obtain water and food dispensers, you probably get a bit more value in eggs than you spend on feed. 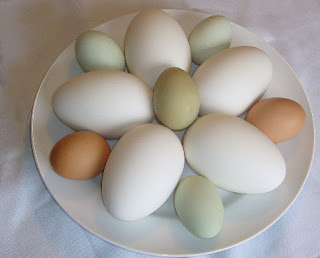 But it is also magical to get those beautiful fresh eggs . . .
Where do people get the chicks from? One friend orders hers from MyPetChicken.com. The rest of the people I know get theirs from Springhurst Elementary School! Each year the first graders hatch chickens. As the school year comes to an end, most of the ittle chicks go to a friendly farm upstate. And some are quietly dispersed throughout the community. We’ve gotten chicks from the school for the last 5 or so years. If you keep chickens, let me know! Perhaps there's a need for a Chicken Help Line of sorts for newcomers to this hobby. Where to get the feed. What kind of coop. Can they be outside when no one is home. Can you feed them table scraps? Organic vs non organic feed and a new one for me this year—did I want medicated starter feed. Right now we have three chicks. Stay tuned—will they make it through the summer? (We’ve been hearing raccons at night—scary!) Will they all be female? More to come! new banner and new url! 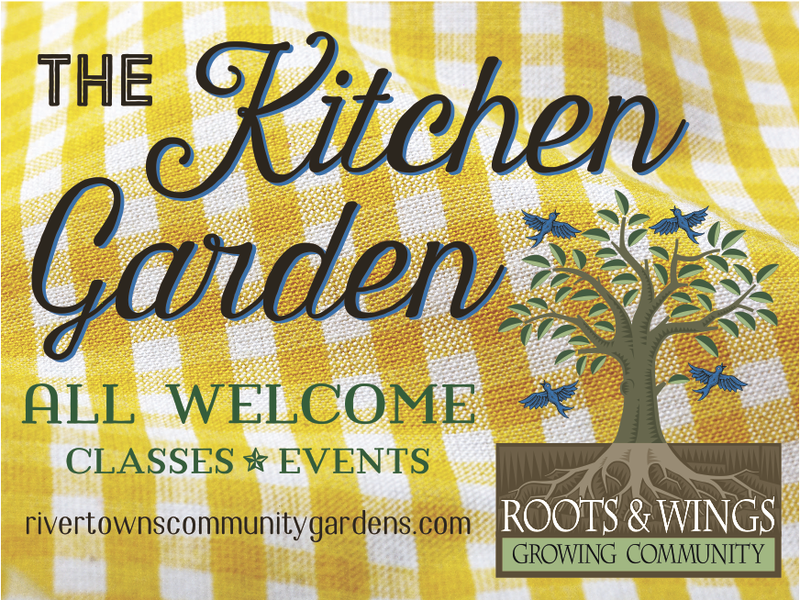 If you've driven down Oak Street lately, in Dobbs Ferry, you might have noticed a sweet sign on The Kitchen Garden--Roots & Wings' community garden. It says… The Kitchen Garden! It was designed for us by Nancy Delmerico, our CSA Manager. It also gives a new url to find us: RivertownsCommunityGardens.com. Let's face it--it's a little more memorable than http://rootsandwingswestchester.blogspot.com. It also points to our vision of growing community in our towns, the river towns.